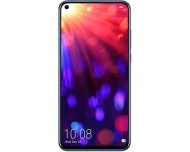 alaTest has collected and analyzed 73 reviews of Honor View 20. The average rating for this product is 4.3/5, compared to an average rating of 4.1/5 for other Cell phones for all reviews. People really like the screen and design. The price and camera also get good views, whereas there are some mixed reviews about the usability. There are some less positive comments about the reliability. We analyzed user and expert ratings, product age and more factors. Compared to other Cell phones the Honor View 20 is awarded an overall alaScore™ of 98/100 = Excellent quality. Honor View 20 review, features, price: This could be Honor's best device ever and it's packed with tech including a 48MP camera and unique notch. With flagship phones becoming more expensive – no one is expecting the upcoming Galaxy S10 to come at a price that’s anywhere close to this – the View 20 is the ideal antidote. The first phone outside of China to ditch the notch in favour of an in-screen front-facing 'hole-punch camera'. Is the V20 innovative or simply mad? With an in-screen camera, the world's first 48MP smartphone rear camera sensor, and a sparkling nanolithographic rear, the Honor View 20 is the company's most beautiful flagship yet. The Honor View 20 isn't a cut-price Huawei Mate 20 Pro but it boasts many flagship features like a zippy processor, without the price tag. If Honor’s View 20 has set the bar for smartphones in 2019, then it’s done so at bronze medal standard. There'll be better handsets to see release this year, but not many. Especially at the £500 mark.